The Beauty Of A Swan Is Amazing - See Stunning Swans Here! The beauty of a swan is hard to describe in words. It’s something we have to experience with all our senses. For several years I had the privilege of living right next to a park, where swans daily displayed their nobel elegance. Being able to observe them often, showed me there is something very special about these birds. The word bird actually sounds too shallow to describe these incredible creatures. A swan really seems so much more than just a ‘bird’. 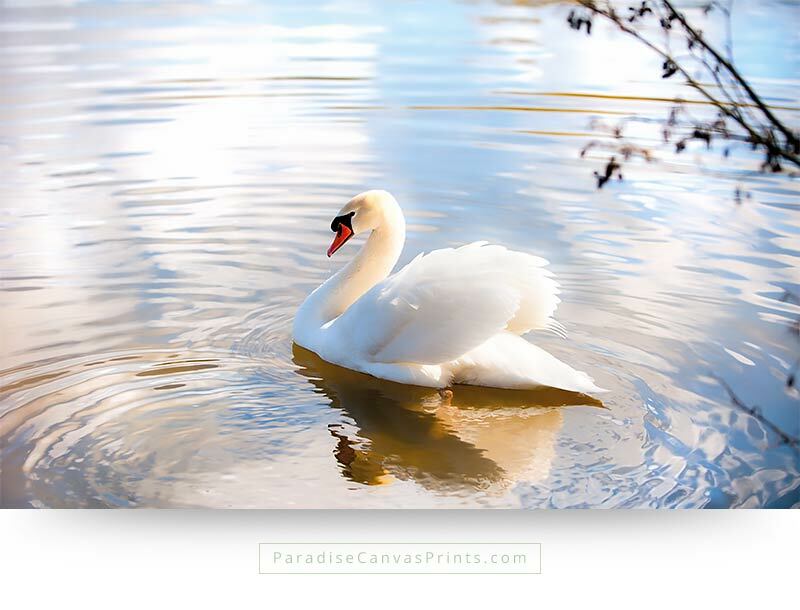 When a swan flies, it reveals so much strength, balance and charm… When it’s coasting through the water, the swan looks as he is the king of the world. No other bird is like it. No wonder some nobel families chose the swan to be their scutcheon. The beauty of a swan is not only it’s elegance, but also it’s expression of strength. 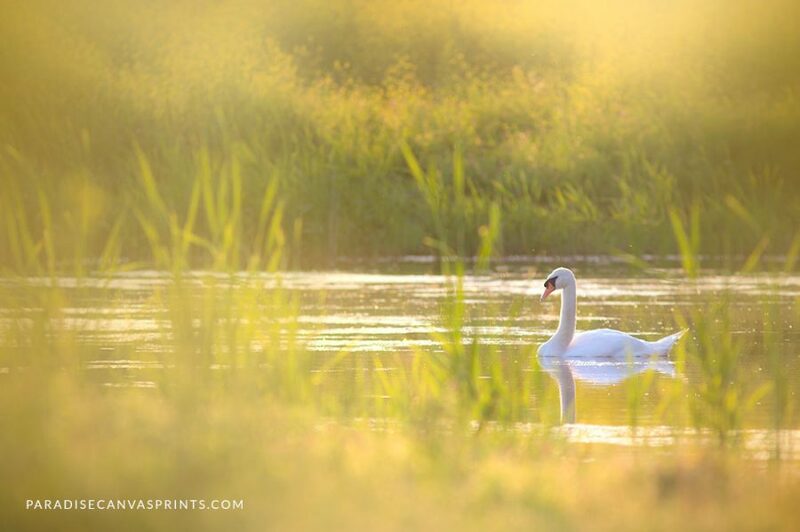 During my first years as a nature photographer swans were among my favorite subjects. Day after day I observed them, and was often surprised by their behaviour. 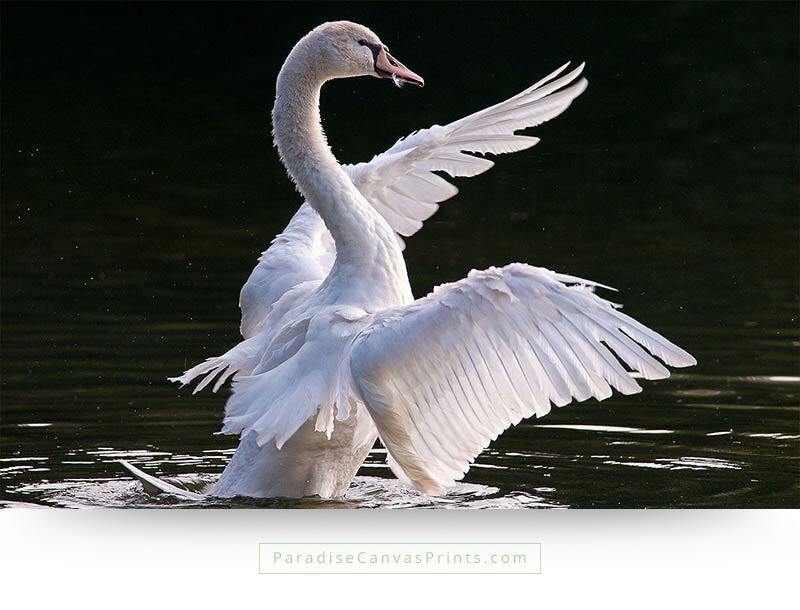 Especially during mating season, the male swan – called the cob – became extremely territorial, bullying all other birds in the lake, chasing them as far away as he could. That made for some pretty hilarious scenes, as he puffed himself up, to look twice as big as normal. While trying to approach the nest, I always had to be very careful. The fact that I sometimes brought bread with me, eased the nerves a little, but still they were very protective. A few times I had to run, because I got too close… This taught me to respect their personal space, and control my desire as a nature photographer to get as close as possible. Respect for the animals is the primary rule for any animal lover. 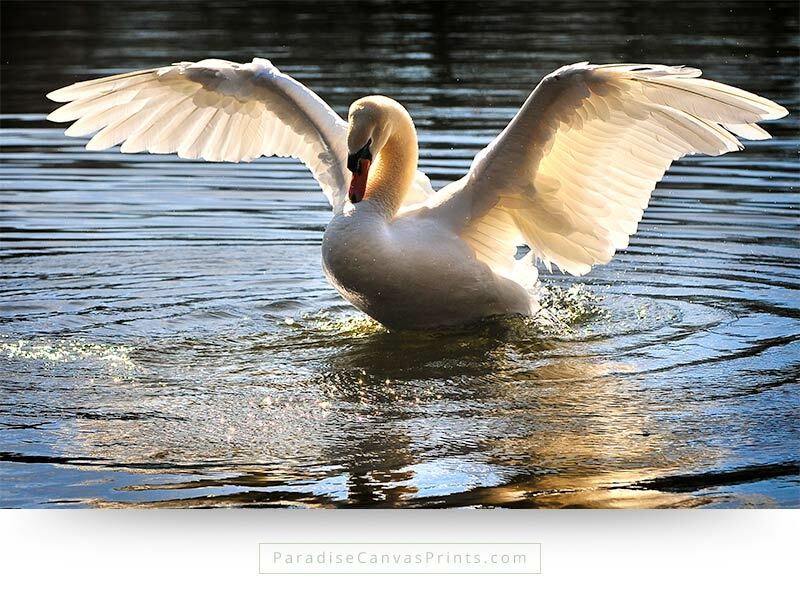 What I like most about swans, is their beautiful angel-like wings. When the sun is low, in mornings or late afternoon, the light hits their large feathers, as they spread them. What a spectacular sight! I also love it when they bath and splash their wings forcefully in the water. Sometimes they almost dissapear in the storm of millions of waterdrops that suddenly surround them. To my great delight I was able to capture some of these special moments with my camera. 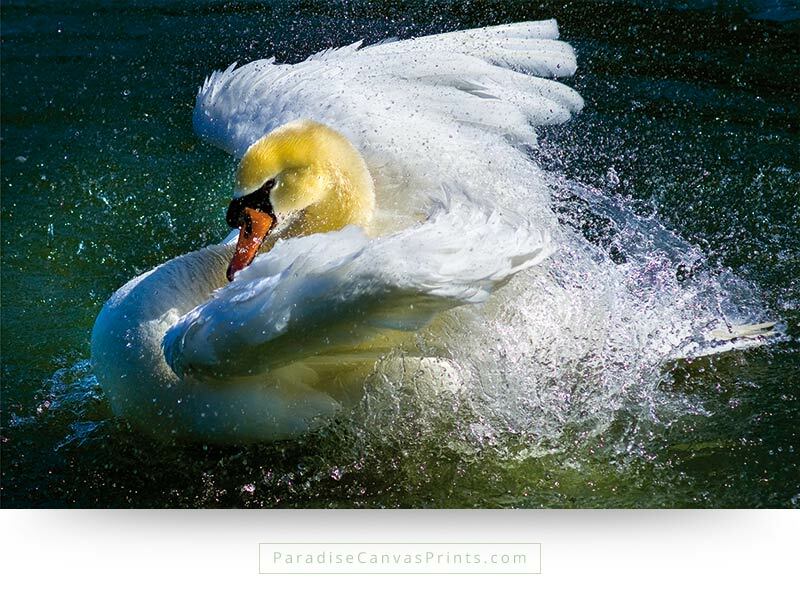 I want others to be able to enjoy the wonderful beauty of swans as well, that’s why I created a unique interior collection of bird canvas prints. 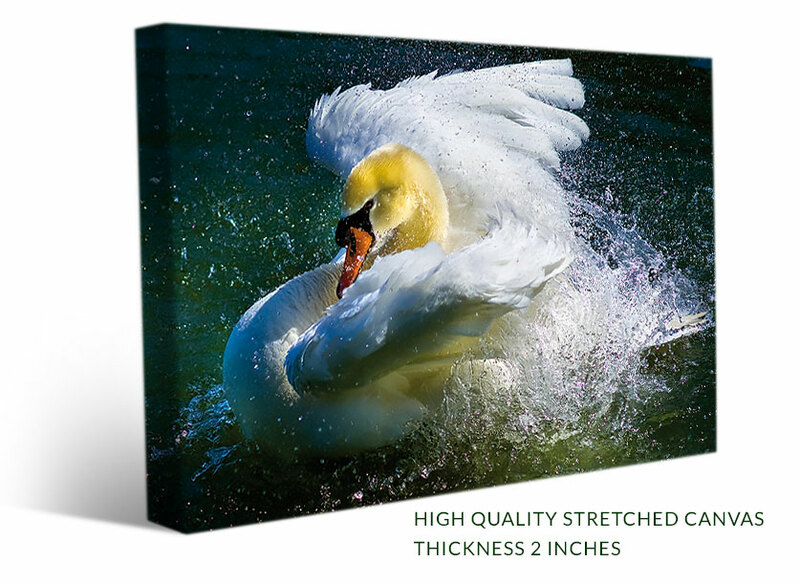 Have a look at the different swan canvas prints, and bring their unique elegance into your home or office. You will enjoy their beauty, every day of your life. with this unique bird canvas print. 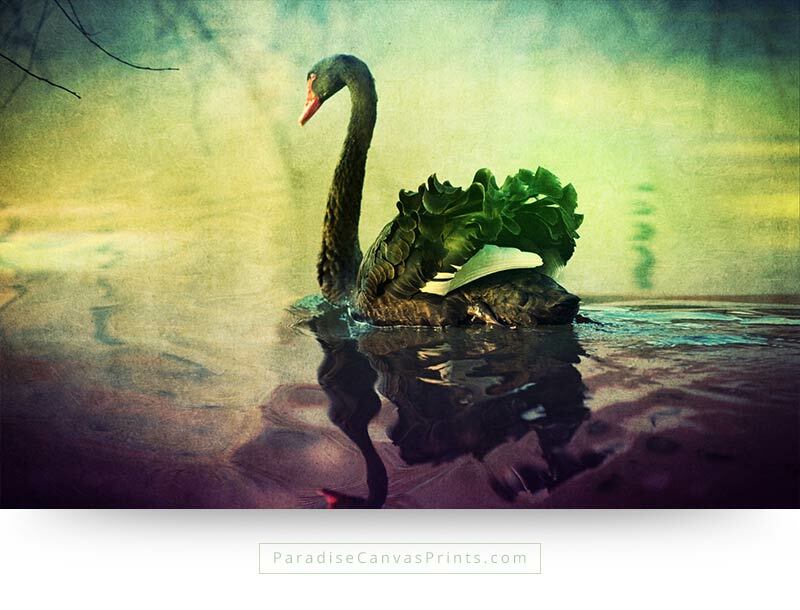 Order Your Amazing Birds Canvas Prints Here!